I am happy to be serving the Iowa Opticians Association of Iowa as president. I have been in the industry 15 years now. 14 of those amazing years have been at Eye Care of Iowa. I currently love my role as optician and manager. I am proud to be a part of this profession of such an eclectic bunch. I live in Prairie City of Iowa with my husband Kevin and my son Gavin. In our spare time we enjoy traveling, trying new restaurants and cooking new meals as a family. I have worked at Oskaloosa Vision Center as an optician since 2009, and became ABO certified in 2012. I love helping people find the right frame and lenses for their lifestyle and am never afraid of repairing glasses. I am a mother to a 12 year old daughter and an 8 year old son. They keep me very busy with sports and school activities. I am also very involved in my church and community volunteering. ABO certified since 2001, I can definitely say that Opticianry found me. I have worked in both private practice and retail settings and I currently own my own optical boutique in Spirit Lake, IA. I am a monthly contributor to the Opticians Handbook, and have had been lucky enough to have some of my articles published by 20/20 Magazine. I love this field and I’m so proud to be an Optician, and to have the opportunity to do what I love everyday. I am thankful for the opportunity to be of service to the OAI. 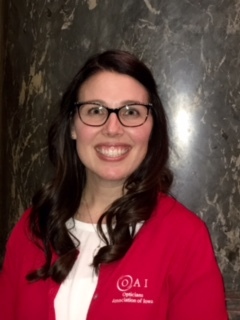 Erin Haas has been working in the optical industry since 2006. 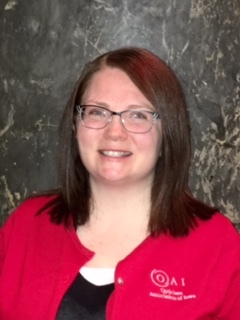 Erin has worked at Elite Eye Care in West Des Moines, Iowa since 2011. 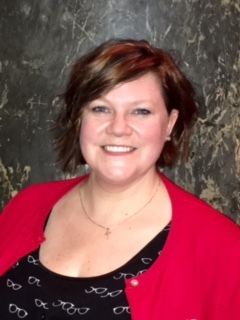 Erin has been recognized as a Certified Optician by the American Board of Opticianry since 2013. 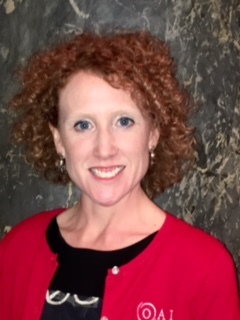 She joined the OAI Board of Directors in 2016. Erin and her husband, Dennis, have 3 children­Flannery, Docken, & Ryker. She is an avid reader and loves spending time with her family and friends. Erin is passionate about opticianry and looks forward to what the future brings in this exciting career field. I have been a part of the Elite EyeCare team in West Des Moines Iowa since September of 2015. I have several years of optical experience having worked in the business in some capacity since 1996. I enjoy making a difference for my patients every day, and I like to take on tough problems with the goal of finding that perfect solution to fit the patient’s visual needs. From helping the patients choose the right frame to suit the needs of the prescription, to the perfect adjustment when they receive their eyewear. My wife and I live in Ankeny where we are involved in many church and community activities. When not working in West Des Moines, you may find me enjoying a walk with my Labrador Retriever, Camping, or planning and completing my next quilting project. I look forward to serving all of the other likeminded great Opticians of Iowa to the best of my ability! It’s always great to network with others in our business, so don’t hesitate to look me up! I have been at Eyecare Associates in Marshalltown since 2014. I enjoy finding creative solutions to make our optical more efficient so I can better serve our patients and practice. It is exciting to develop relationships with our guests and exceed expectations for their visual needs while looking and feeling great in their eyewear. The optical industry is a wonderful career path that I am thankful to be involved with. In my free time I play guitar and sing at local venues, golf and enjoy running. I have a mini bulldog, Iggy. She isn’t the best running partner–but great company nonetheless. 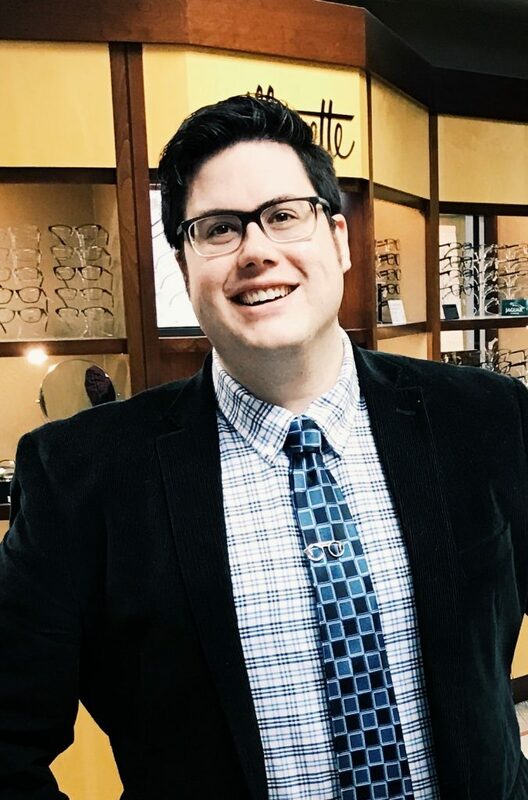 Daniel is an University of Iowa graduate and has been recognized as a Certified Optician by the American Board of Opticianry. 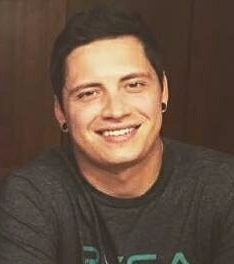 He joined Eye Designs in 2016 as Optical Manager. Since then he has worked hard to update the optical and grow their business. 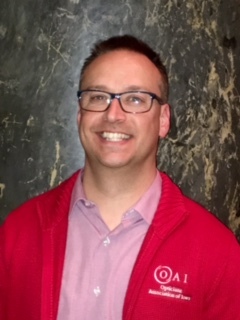 Daniel joined the board in 2017 and is looking forward to network with ECPs across the state and participate in expanding the member and knowledge base for the betterment of Iowa opticians . Fun Fact: Daniel is an avid board game player and an accomplished balloon artist!